Dhaka Bank Limited is not an exception to the dynamic world of business where they stand with a mission of “Excellence in Banking”. One of the premier financial institutes of the country targets to show the excellence by motivated and well trained workforce with a comprehensive career. HR activities are one of the major activities in an organization. Dhaka Bank HR division is an ideal place for learning HR related activities thoroughly. An excellent team of management of HR division conducts all the HR related issues. Their dedicated work makes them possible to get suitable people for suitable positions. They maintain an actual flow of each and every steps of Recruitment and selection process. Reducing turnover rate proves the recruitment and selection process of Dhaka Bank Limited is an ideal example and they recruit right person for right position. The report concentrated mainly on the Human Resource Division. As private commercial bank work pressure is very high in Dhaka Bank, so they need highly professional people who are very dedicated to their work, otherwise the whole operation will mess up. This is a great challenge for any organization to find out such talented people. To know the future demand of human resources in Dhaka Bank Limited (DBL), the Human Resources Division of DBL gives all the other branches and divisions of the head office a general form at the beginning of the year. From the information gathered from these forms, the HR division gets an estimate of the manpower requirements for the year. The HR division then sets out to recruit and select necessary number of competent and efficient people in the bank. DBL practices both the recruitment and selection process, but as it is a huge organization, the process differs for different job positions. Quality of service depends on the competence and the quality of the employees of the organization. Therefore, the authority of DBL has to be careful in recruiting the right person for each job. As the recruitment and selection process of DBL is improving. Though the overall recruitment and selection process of DBL is a well-organized process but still there is scope for improvement. The policy and process should be revised. So although the process they have been adopting so far has been somewhat effective, to adapt to the changing times, the process should be revised and streamlined. By developing strategies to overcome the limitations, DBL can make the recruitment and selection process more effective. HR activities are one of the major activities in an organization. Dhaka Bank HR division is an ideal place for learning HR related activities thoroughly. An excellent team of management of HR division conducts all the HR related issues. Their dedicated work makes them possible to get suitable people for suitable positions. They maintain an actual flow of each and every steps of Recruitment and selection process. Reducing turnover rate proves the recruitment and selection process of Dhaka Bank is an ideal example and they recruit right person for right position. The report concentrated mainly on the Human Resource Division. As private commercial bank Work pressure is very high in Dhaka Bank, so they need highly professional people who are very dedicated to their work, otherwise the whole operation will mess up. This is a great challenge for any organization to find out such talented people. To know the future demand of human resources in Dhaka Bank Limited (DBL), the Human Resources Division of Dhaka Bank Limited gives all the other branches and divisions of the head office a general form at the beginning of the year. From the information gathered from these forms, the HR division gets an estimate of the manpower requirements for the year. The HR division then sets out to recruit and select necessary number of competent and efficient people in the bank. The success of a commercial bank depends largely in the quality of service rendered to the clients. Quality of service depends on the competence and the quality of the employees of the organization. Therefore, the authority of DBL has to be careful in recruiting the right person for each job. As the recruitment and selection process of DBL is improving. The policy and process should be revised. So although the process they have been adopting so far has been somewhat effective, to adapt to the changing times, the process should be revised and streamlined. The main objective of this project is to analyze the recruitment procedure of Dhaka Bank Limited on the basis of its existing Recruitment Policy of the Bank in order to show how a private commercial bank recruits its employees for different positions. The objective of this project is also to find the effectiveness of the recruitment and selection procedure of the bank. But secondary data were more important and useful while doing this project. The secondary sources of data that were used are the Employees Service Rules of the bank, manpower planning procedure and other documents related to human resources division. Books, magazines, articles research report etc. were also used. Human Resource Management (HRM) is the function within an organization that focuses on Recruitment of, management of, and providing direction for the people who work in the Organization. Human Resource Management can also be performed by line managers. It is the organizational function that deals with issues related to people such as compensation, Hiring, performance management, organization development, safety, wellness, benefits, Employee motivation, communication, administration, and training. 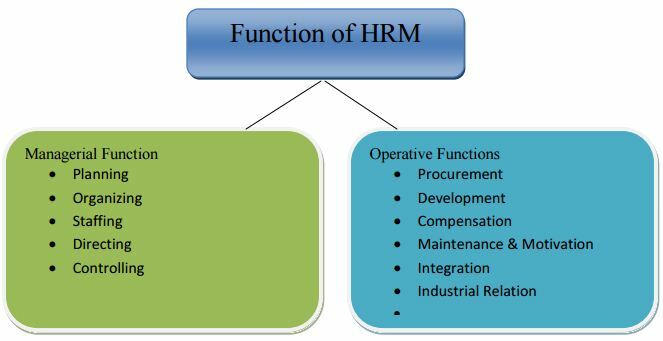 The Human Resources Management (HRM) function includes a variety of activities, and key among them is deciding what staffing needs you have and whether to use independent contractors or hire employees to fill these needs, recruiting and training the best employees, ensuring they are high performers, dealing with performance issues, and ensuring your personnel and management practices conform to various regulations. Employees are the core resources of any organization, without them, one cannot run their organization and human resource is conducted with the growth of development of people toward higher level of competency, creativity and fulfillment. It keep employees become better more responsible person and then it tries to create a climate in which they contribute to the limits of their improved abilities. It assumes that expanded capabilities and opportunities for people with lead directly to improvement in operating effectiveness. Essentially, the human resource approach means that people better result. Dhaka Bank Limited always determine what jobs need to be done, and how many and types of workers will be required. So, establishing the structure of the bank assists in determining the skills, knowledge and abilities of job holders. To ensure appropriate personnel are available to meet the requirements set during the strategic planning process. The banks believes that the quality work comes from quality workers who are well motivated and ready to take challenge to provide better service. Best managed, most productive and cost efficient workforce among local banks in Bangladesh. Strategic HR planning is an important component of strategic HR management as well as Human resources division of an organization. HR strategic objectives helps thriving integration of human resources planning with business planning which leads to achieve the vision, mission and business goals of the organization successfully. Realign HR in line with revisited vision, mission and business plan. Ensure critical and essential manpower at all levels. Ensure market driven pay and benefits. Introduce certification programs, and ensure fair performance evaluation. Ensure compliance with country laws, regulatory directives and corporate norms. Branding Dhaka Bank as the best environment to work for among local banks. Reorganize HR functions, and empowerment of the human resources division. Automate HR process, and integrate with other functional departments. HRM functions are carried out by the HR managers to fulfill the goals and objectives of the organization. HR managers perform two sets of functions, namely managerial functions and operative functions. The managerial functions are the basic functions performed by the HR managers in their capacity as managers or heads of their own departments. In fact, all managers, irrespective of their departments, perform these functions. The operative functions, on the other hand, are specialized activities performed exclusively by the HR managers, usually for all the departments. The staffing process- putting the right people in the right positions at the right times- is one of the most critical tasks any organization faces. The quality of the work performed can be only as high as the capabilities of the people performing it. Recruitment is the process of finding and attracting capable individuals to apply for employment. Success in recruiting is not simply measured by the number of applications received. According to Robins, “The ideal recruitment effort will attract a large no of qualified applicants who will take the job if it is offered. A good recruiting program should attract the qualified & not attract the unqualified. This dual objective will minimize the cost of processing unqualified candidates”. So recruitment is the process by which a firm finds its employees, are perhaps the most critical tasks any organization faces. Without the right people, no firm can function effectively. For a recruitment program to be successful, managers should cooperate with the human resources staff to define needs and predict vacancies. This recruiting may be done by internal or external. The right type of applicant is far more important than the number of applicants Job analysis information is key to the success of the endeavor. It ensures as individual attributes deemed necessary. Job analysis information exists in job descriptions and specifications. Identifying experience as a requirement would eliminate educational institutions from recruitment efforts with the exception of continuing education. When consulting the job description for the position, identify actual duties and look for other attributes that might be helpful. Determine the characteristics of organization’ s culture. What attributes might a person need to fit in? Who will be supervising the position? What attributes should a person possess to serve as a complement to this boss? With what other individuals will this person have day-to-day contact? Are there certain group characteristics that need to be taken into account? Look around your environment. What other factors might have to be taken into consideration to assure a thorough assess me nt of position characteristics? (1) The number of people who apply for vacancies. (3) The likelihood that those applying for vacancies will accept positions if offered. Posting notice of job openings on company bulletins boards is an effective internal recruiting method. It informs employees about openings & required qualifications & invites qualified employees to apply. The notices usually posted on company bulletin boards or electronic bulletin boards or are placed in the company newspaper. Qualifications & other facts are drawn from the job analysis information. Making use of HRIS can find the best suited candidate and this must be secure and confidential source of internal candidate. This source gives adequate but relevant employee information. Recommendation from potential supervisor, employees who are interested in the posted opening report to the HR Department & apply. One of the popular methods used when an organization wishes to communicate to the public that it has a vacancy advertisement in Want ad describes the job, the benefits and tells those who are interested how to apply. It is the most popular method. Employee referrals also may have acquired more accurate information about their potential jobs. The recommender often gives the applicant more realistic information about the job than could be conveyed through employment agencies or newspaper advertisement. There are certain professional organizations which look towards recruitment and employment of people; they supply required manpower to needy concerns. Educational institutions are an excellent source of potential employees. Sending an employer’s representatives to college campuses to pre-screen applicants and create an applicant pool from the graduating class. Organization like agencies can be a source of employees when individuals are needed on a temporary basis. Temporary employees are particularly valuable in meeting shortterm fluctuations in HRM needs. It does not provide recruits. They are a source of supplemental workers. The temporary workers actually work for the agency. Employee Selection is the process of putting right men on right job. It is a procedure of matching organizational requirements with the skills and qualifications of people. Effective selection can be done only when there is effective matching. By selecting best candidate for the required job, the organization will get quality performance of employees. By selecting right candidate for the required job, organization will also save time and money. Proper screening of candidates takes place during selection procedure. All the potential candidates who apply for the given job are tested. But selection must be differentiated from recruitment, though these are two phases of employment process. Recruitment is considered to be a positive process as it motivates more of candidates to apply for the job. It creates a pool of applicants. It is just sourcing of data. While selection is a negative process as the inappropriate candidates are rejected here. Recruitment precedes selection in staffing process. There are two level of recruitment. Probationary officers are confirmed as officer after successful completion of one year probation period. Probationary Officers are recruited throw completive written exam which is taken by IBA. After taking exam top scorers are invited to appear the interview of management committee. After appearing the interview they have to face an interview in front of Board of Directors. For recruiting Probationary Officers advertisement are given in daily newspaper and web site also. Only online applications are acceptable for Probationary Officers (PO). They have to apply throw bdjobs.com. bdjobs supplies the database of CVs or resume to DBL HR. HR team then short lists the resume of the candidates. Only short listed candidates are invited for appearing the written exam. Short-listing criteria’s are given in the circulars. There are some subjects, which are preferred for short listing. TAOs are confirmed as assistant officer (AO). TAOs are recruiting from walking CVs. Usually, one written exam is managed by DBL management has taken for recruiting TAOs followed by one Viva. There are recruitments for experienced bankers, which is called lateral entry. Length of services, job responsibilities, revolutionary background etc. is taken into consideration for the lateral entry. Dhaka Bank starts its recruiting process when new employees are needed and concludes when the applications are submitted. It results in a collection of applicants from where new employees are selected. Personnel Planning and Vacancy Announcement: In DBL, Human Resource department is headed by the Human Resource Manager. The recruitment process begins with the human resource department receiving requisitions for recruitment from any department or branch of the company. Decisions regarding the positions which have to be filled are taken by HRD by engaging in personnel planning and forecasting. HRD sends a notice to all divisions to know about their personnel needs and after getting the feedbacks from line mangers then HRD takes decision about the personnel vacancy. Existing employees are an important source of recruits. Whether for endorsements, promotion or for lateral job transfers, internal candidates already – know the informal organization and have detail information about its formal policies. In fact for DBL this sort of recruitment is took place only with special purpose experienced employee recruitment. For this internal recruitment DBL basically follow closed recruitment strategy. Job Rotation: DBL takes new employees from existing employees through job rotation. Organization needs multitasking people so they create posting of people to another department. They spell out the duties and requirements of the job and show how to apply. Sometimes job requires something extra that cannot be fulfilled through internal sources. In such cases the HR department has to look outside the organization and for DBL recruitment of management trainees/trainee officer or any junior level/mid-level position is done through this way. Employee referrals procedures are followed by DBL mainly for the entry level employees, for management trainees it is not in practice. It follows these procedures when existing employees refer one new employee and the new one is considered to be further judgment. For the position of junior level candidates this practice is followed sometimes. Walks-in are job hunters who reach at the HR department in search of a job and submit their CV’s. Sometimes they are asked to complete an application form to determine their interests and abilities. These applications are kept in an active file until an appropriate opening arises at the DBL. These occur mainly for entry jobs or contractual job, for the recruitment of management trainee these forms are not used. Once the recruitment process is completed, DBL moves towards the selection process which starts with the reception of application forms filled up through internet online form. After examining the filled up information, they decide on which applications will sit for the written test, but before that they evaluate the dependability of the information provided in the application. After short listing of the CV and choosing the suitable candidates, HR division inform the candidate over phone about written test (Entry level) or interview (upperlevel). For written tests, the bank issues admit cards through courier services ten to fifteen days prior to the exam. The test question contains math based and analysis based questions where processing information from data and forming relationship ability among the clues of given problem are required to answer them. Generally DBL take written test for entry level position like Trainee assistant and for MTO level. The test is taken by IBA of University of Dhaka. The exam committee checks the answer scripts. According to the top marks candidates are invited for interviews. The candidate must submit photo copies of their education certificates of school, college and university. In case where the original certificates have not been provided by the institution, probationer certificate, academic transcript or mark sheet will also be accepted by the bank. Candidates who qualify in the written test are called for an interview. The candidates are informed about the interview time, date and venue at least 48 hours prior to the interview. All communications with the candidate like setting interview time and date, position and salary negotiation etc. are done by HR recruitment team only. Appearance: Dress up, grooming, body language and eye contact. Communication Skills: the way of communicate with the interviewer, expressiveness. Commitment/ Loyalty: Dedication towards jobs and organization. Based on all these criteria’s, an evaluation rating is given to the candidate on the evaluation form: 1= Poor; 2= Marginal; 3= Good; 4= Very Good; 5=Outstanding. When a candidate is selected for the job, his or her given reference has been checked by HR. The candidate must give at least two references. If the candidate is fresh, then he or she has to have one reference from his educational institute. But if the candidate was previously employed, must have one reference from last organization, preferably the supervisor. Subject to satisfactory response will get job offer. An approval needs to be taken from the MD for all permanent position and temporary position and the approval is given by Head of HR. If a candidate successfully reaches the final stage then candidates are given a job offer after salary negotiation and upon acceptance of the job offer the candidate will be sent for medical test at bank selected diagnostics. There is no salary negotiation for temporary employee. Individuals joining as MTO have a probation period of twelve months. At last the after the medical test and reference checked, the offer letter for the candidate has been issued. After that the candidate gets the call that he or she has been appointed and he or she has to collect the letter from HR. The appointment letter specifies all the terms and condition of the job. Last step of DBL selection process is orientation. All new recruits must undergo an Induction/Orientation program, in order to familiarize themselves with the organization’s culture, norms, rules and regulations so that they know what is important in the organization and what they are supposed to do. Induction helps an employee to become effective member of the organization. Dhaka Bank Training Institute shall arrange a Basic Banking Training Program for the all the new hired employees. Shortage of supply: DBL employers are facing challenges to recruit qualified employees in account of low quality of supply. In spite of passing a huge number of graduates and post graduates every year, the banks are not getting their appropriate candidates. On the other hand, some of appropriate candidates not interested to join in banks rather prefer to migrate for better standard of living. From this perspective, the employers of DBL are not getting their expected applicant. Cost: The cost to hire and replace employee is huge and day bay day this cost is increasing. The people, who have greater knowledge and experience, usually require a higher level of job. So DBL recruiters sometime failed to recruit qualified employee due to budget constrain. DBL face employee turnover problem. The turnover rate is 3.78% due to this every year they have to recruit a good number of employees. Sometime they have in huge pressure to recruit employees in an emergency basis because of this recruiter may sometime fail to choose right person for right position. Moreover A good number of fresh graduates wants to start their career at multinational organization or government sector rather than banking sector. At first the multinational organization provides opportunities their employees to work in different countries in different cultures which enhance the employees’ work efficiency and effectiveness as well as they also offer handsome compensation package. Therefore, the fresh graduates are very much crazy to start their career at multinational organizations. Emerging of huge competitors: In banking sector, there is huge demand of talented candidates as a large number of banks are available here. Employee movement from one bank to another bank is very common in this sector. Therefore, employing and remaining talented candidates is a great challenge for the banks. If we observe the chart of Bank Establishments, we can get to know that from 1972 to 2010, 32 local banks were established in Bangladesh. DBL is established in 1995 but before 1995, 11 banks are established and after 1995, 17 banks are established, 3 banks are established at the year 1995 as well. As we know that the more competitors would come in market, the more labor force they would demand for running their business operations. For this reason, DBL is facing difficulties for employing talented employees. As DBL is a reputable bank organization, huge number of people want to be employed as employee of Dhaka Bank. For this reason, when job vacancy is announced a large number of resumes are deposited in the CV bank. However, at the time of short listing according to evaluation criteria, there are more number of candidates fulfill the qualification requirements but among the qualified candidates, a small number of candidates are selected for the written test. All the qualified candidates are eligible for the written test but HRM does not give opportunity to give written test to all the qualified candidates. Only randomly selected candidates from the qualified candidates can participate in the written test. The induction program arranged for the new employees is not proper at DBL and it is an irregular program because till 2013, this program is arranged only for two times- in the year 2011 and 2012. In addition, the program is arranged only for two hours. Here, the top executives give their very short speech. But this is not sufficient for the new comers. As the employees come from several educational backgrounds so they are unfamiliar with the function of bank. If the employees do not know the basic functions of bank clearly, how they start their work with full enthusiasm. From my opinion, it can be said that the induction program should be continued for two days and it should be organized in every year as well. In the program, there must be given a broad description about the function of banks, about its products & services, about its goal and objectives, about its corporate and business strategies, about its divisional functions and its mission, vision, cultures and values etc. It would be better, if DBL organizes some basic training program which would help the employees to acquire basic knowledge about bank. Indeed, Induction program is very necessary for every new employee it energies the new employees to start their assigned jobs with full enthusiasm. The study “Recruitment and Selection Procedure of Dhaka Bank Limited” under HR revealed that employees are the most valuable resources for the progress of the organization. For the development of these valuable resources there are many factors involved. In this regard “Recruitment and Selection Procedure” play the most important role. To increase the productivity of an organization effective & dynamic recruitment and selection procedure is essential. Dhaka Bank Limited practices a progressive recruitment and selection procedures. HR officers of Dhaka Bank Limited are now expected to work beyond the boundaries of contracts and policies to contribute directly to the operation and success of the business. It should be kept in mind that efficient employees of an organization is the assets of that organization and that is why it should be taken up carefully. If they can meet up their shortage they will do much better in the banking sector in Bangladesh.